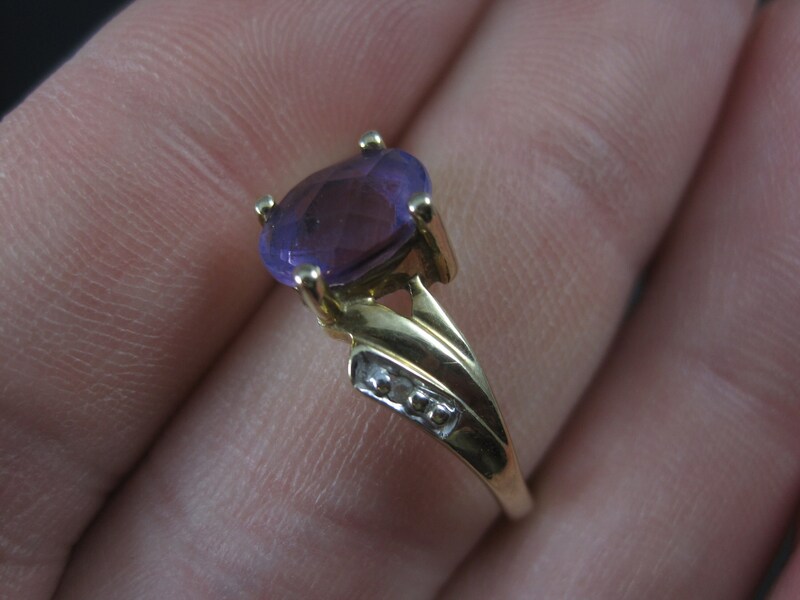 This beautiful 90s ring is 10k yellow gold. 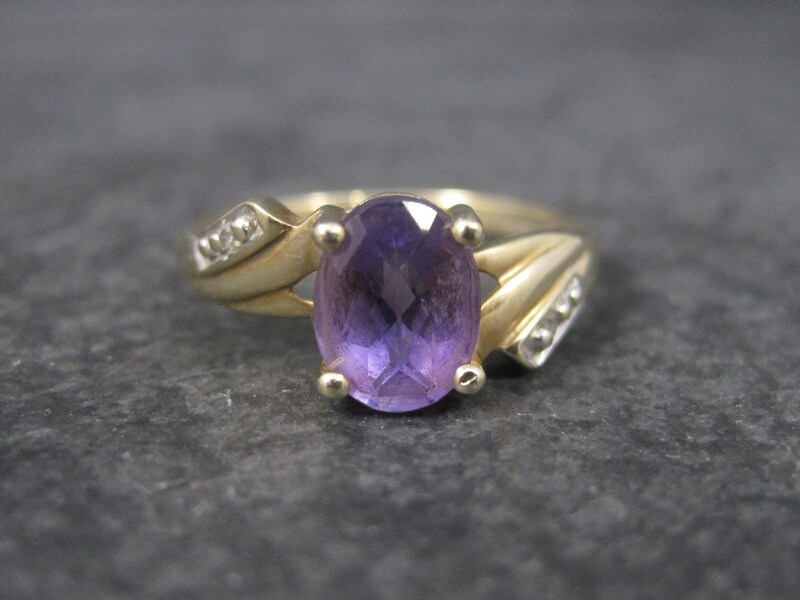 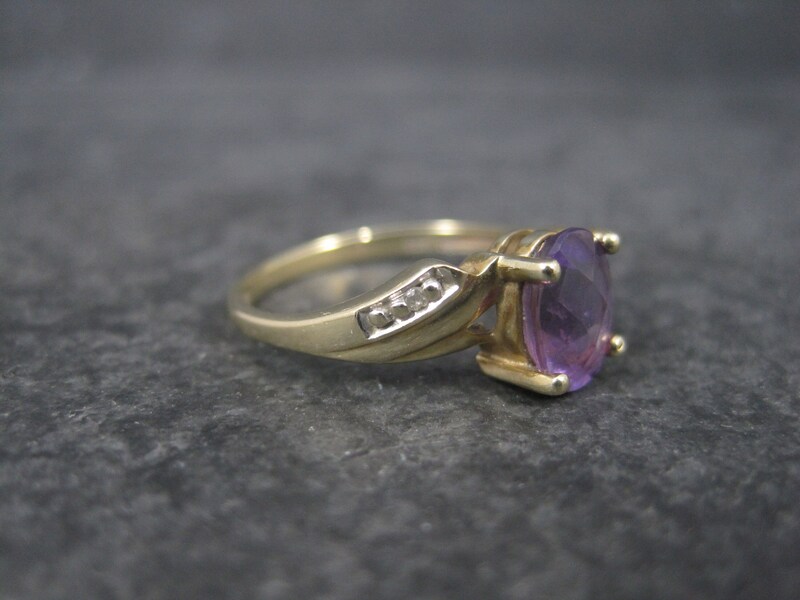 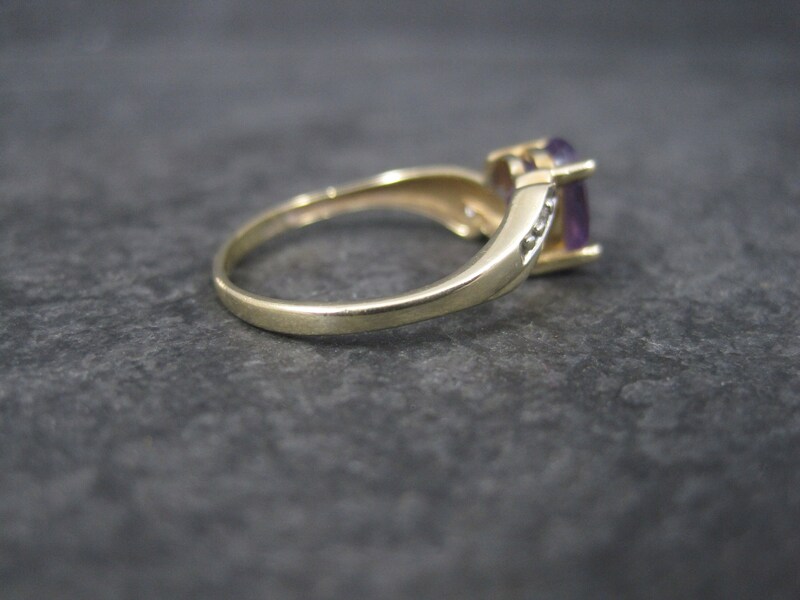 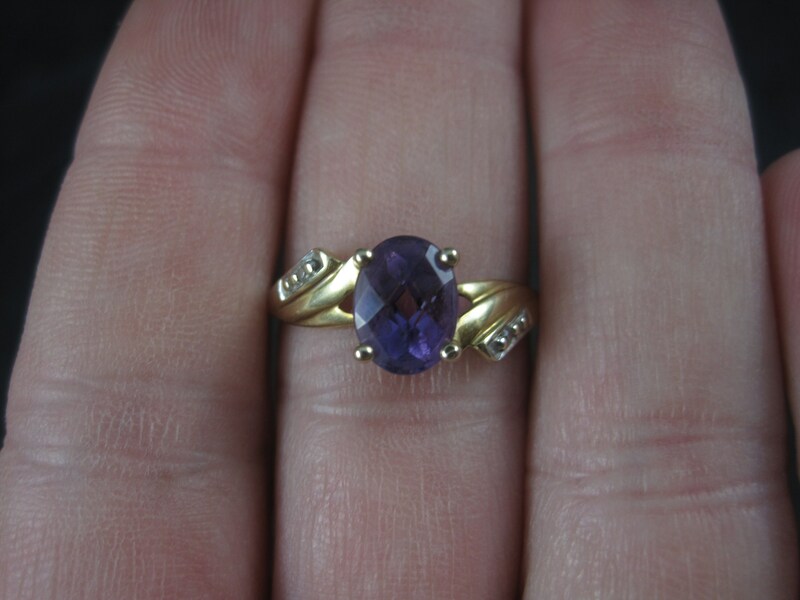 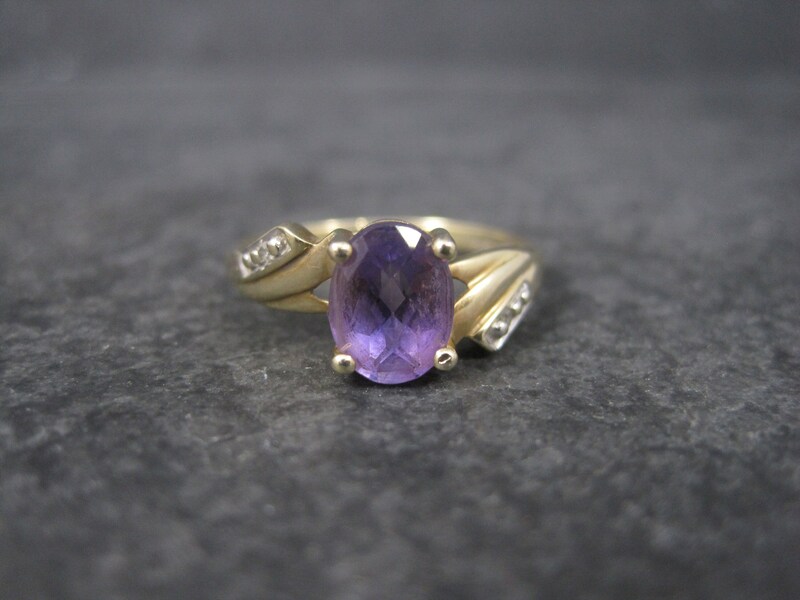 It features a 6x8mm oval checkerboard amethyst accented by a single diamond on each side. 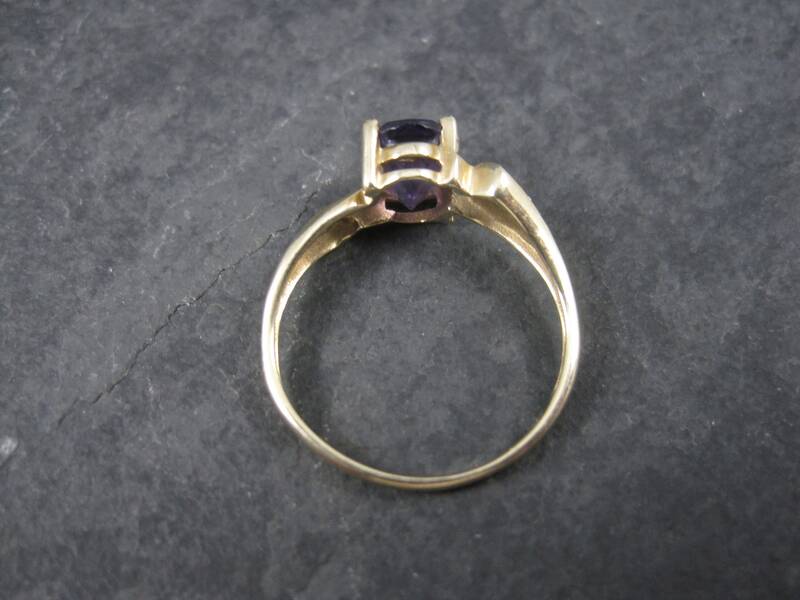 The face of this ring measures 5/16 north to south with a rise of 5mm off the finger.